Please support Karen Myers as she participate’s in March of Dimes Walk for Babies’ campaign. This will be our family’s 5th year to participate in March for Babies for March of Dimes and I am happy to say we have had great success with the help of our family and friends. The March of Dimes has supported research for the birth defect Congenital Diaphragmatic Hernia (CDH) that Kaleigh was born and passed away from. We found out when I was 20 weeks pregnant that she would be born with this devastating birth defect and the Dr.s gave her a 60% chance to live. From the moment she was born (full term on her due date) she faced the fight of her life. She was immediately placed on a ventilator and after 3 days of fighting to keep her stable she was placed on Extra Corporeal Membrane Oxygenation (ECMO) a heart lung bypass machine. She spent 9 days on it then was taken off to have surgery to repair her defect and take her stomach, intestines, spleen and tip of her liver out of her chest and place them back into her abdomen where they belonged so what little lung she had could start to grow and work. Unfortunately on her 17th day of life her body couldn’t oxygenate itself even with artificial help due to such immature and malformed lungs and we held our daughter for the very first and last time as her heart stopped beating. She gave us the most precious 17 days and fought with all her might and we love and miss her. Unfortunately our family then had to experience the heartbreak all over again as we learned when I was 27 weeks pregnant that our son William Logan’s heart had stopped beating and he was born an angel due to Non-immune Hydrops Fetalis. It broke our hearts knowing he would never know his mommy or daddy’s touch. The March of Dimes is wonderful in providing detailed and helpful information for families with children born with birth defects. I know they were a great resource for me and my family. The funds we raise may seem like a drop in the bucket but every little bit counts and hopefully one day I will stop meeting families who have had to endure the heartbreak of loosing a child, whether it be to prematurity, birth defects or illness. Please join our family by signing up to walk on our team, fund raise for the team or by donating…..we can save babies together. Remembering Kaleigh and William Logan always……..FOREVER OUR SUNSHINES!! It looks like we’ll have over 100 in attendance this year from at least 5 countries! Plus, amazing guest speakers including Meaghan Russell from Boston Children’s (who will be also be helping families to participate in CDH Research!) and Kevin Lally from the CDH Study Group to give us all the latest news on CDH research and treatments. Also, leaders from several CDH organizations and sites will be there as well! There will be round-table discussions for parents of survivors and grieving parents, as well as CDH survivors. Entertainment for the kids, tons of Congenital Diaphragmatic Hernia awareness items and information, a pizza party on the first day and much more! It’s going to be an incredible CDH conference – make sure not to miss it! The date and location have been set! July 23-25, 2009 in San Antonio, Texas! The hotel location will be posted soon. Our conference include several CDH experts as guestspeakers, round table discussions for both families of survivors and grieving families, pizza party, entertainment for the kids and more! This year we are expecting about 100 members with families flying in from as far as Australia! We will have at least 4 countries represented at this conference – hopefully many more. CHERUBS is an international organization with over 2600 members in all 50 states and in 38 countries. We are so proud of our wonderful Representatives who are helping our global CDH support group to also be a local CDH support group as well. 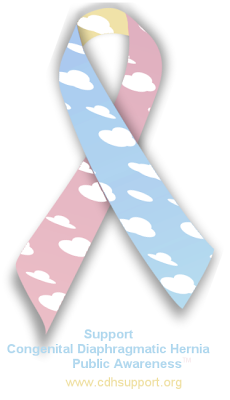 Our Reps provide local support to families dealing with Congenital Diaphragmatic Hernia. They plan local get-togethers, picnics and other events. They provide hospitals with information packets for CDH families. They help families find other local services if they are in need of additional help. They represent CHERUBS at conferences and awareness events and often plan these events as well. They help plan our International CDH Conferences. Many of our Reps have created blogs and web sites to offer local on-line support. 2 of our Representatives have gone on to achieve non-profit status in their own countries which makes them sister organizations to CHERUBS now. Congratulations to our CHERUBS Australia and CHERUBS UK members for this wonderful achievement! We are very, very proud of them! Click on the Country / State to view their blog or web site – some are still under construction. Click on the Rep’s names to e-mail them. Ireland ~ Liz Dunne ~ ldunne@cherubs-cdh.org ~ ~ Coming soon! Mexico ~ Fernanda Arce ~ farce@cherubs-cdh.org ~ 55249924 ~ Coming soon! New Zealand ~ Tania Smythe ~ tsmythe@cherubs-cdh.org ~ 03 4727321 ~ Coming soon! New Zealand -S ~ Sonia Stuart ~ sstuart@cherubs-cdh.org ~ 09-4353070 ~ Coming soon! Scotland ~ Marie Brown ~ mbrown@cherubs-cdh.org ~ 01389 380120 ~ Coming soon! Arizona ~ Krista Bold ~ kbold@cherubs-cdh.org ~ 480-882-9449 ~ Coming soon! California ~ Tammy Spohr ~ tsphor@cherubs-cdh.org ~ 530-273-2156 ~ Coming soon! Iowa ~ Sarah Godsey ~ sgodsey@cherubs-cdh.org ~ 208-755-7772 ~ Coming soon! Louisiana ~ Ashley Jackson ~ ajackson@cherubs-cdh.org ~ 225-271-4096 ~ Coming soon! Maryland ~ Brenda Slavin ~ bslavin@cherubs-cdh.org ~ 443-624-2187 ~ Coming soon! Montana ~ Elaine Moats ~ emoats@cherubs-cdh.org ~ 406-234-5038 ~ Coming soon! North Dakota ~ Elaine Moats ~ emoats@cherubs-cdh.org ~ 406-234-5038 ~ Coming soon! Pennsylvania ~ Andrea Ryan ~ aryan@cherubs-cdh.org ~ 610-927-9356 ~ Coming soon! South Carolina ~ Lynne Brogdon ~ lbrogdon@cherubs-cdh.org ~ 864-627-8644 ~ Coming soon! South Dakota ~ Elaine Moats ~ emoats@cherubs-cdh.org ~ 406-234-5038 ~ Coming soon! UtahS ~ Kimberly Byington ~ kbyington@cherubs-cdh.org ~ 801-814-1514 ~ Coming soon! Virginia ~ Penny Campsey ~ pcampsey@cherubs-cdh.org ~ 434-432-2166 ~ Coming soon! Washington DC ~ Brenda Slavin ~ bslavin@cherubs-cdh.org ~ 443-624-2187 ~ Coming soon!